Coastal Crew: When Otters fight back. 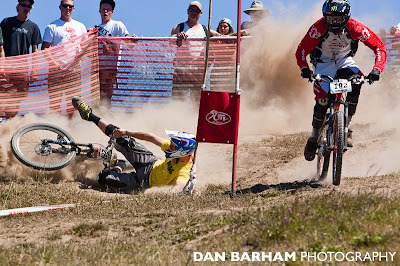 Not my finest moment, Wash out during Sea Otter Dual Slalom qualifier. Dislocated shoulder.....Not a happy camper after this. keep shreddin, waiting for your next kranked section - from kranked 7 was sick!